What is it about WWII that keeps us coming back? Whether it’s movies, tv shows, or comics, it’s never a bad time for a romping, gonzo WWII action fest. 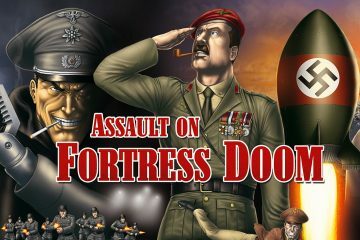 Having said all this you may not be surprised that I jumped at the chance to review Assault On Fortress Doom. Just looking at the cover gave me goosebumps. I mean there is a guy with a claw hand, a giant rocket, a guy shooting machine gun, and more. I mean, it’s everything you could ask for in a WWII slugfest. But the question is … can the story live up to all that awesome? Read on to find out. Now, I don’t really want to just say it’s a “comic”. It’s actually a full-size magazine format graphic novel. That very much endeared this book to me, and I’d actually like to see this format used by other publishers as well. Now I’m not “positive” the creators managed to fit more on the page, but it feels like it at times and it made the book a joy to read. 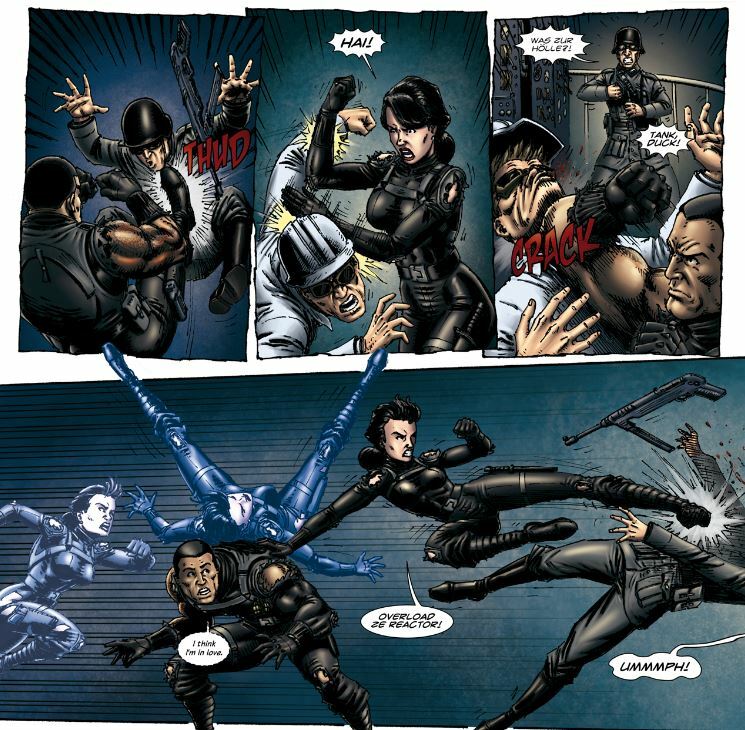 Speaking of creators, that would be Lex McDonald covering writing duties and Edgard Machiavello handling the art. McDonald got this all started on Kickstarter and managed to rope in Machiavello once everything was completed. Both put in great work here. The story evolves more like a movie than a comic, diving into a world that has just gotten through WWII. However, while everyone is celebrating a small band of heroes is rounded up for one last mission to stop a rogue group of Nazi’s from releasing a bomb that will wipe out humanity. And it’s great. There is some very tight storytelling going on here, and you get just enough of what you need, with a few extras thrown in, before jumping onto the next plot point. Meanwhile, the characters we spend so much time with are spot on. They are a rag tag group including an ace American pilot, a French lady spy, a New Zealand bruiser, and a British officer who leads the pack. Each provides a fun take on tried and true tropes, with the New Zealand bruiser adding a particular flair to the cast. or a sky full of planes the art is crisp and clear. 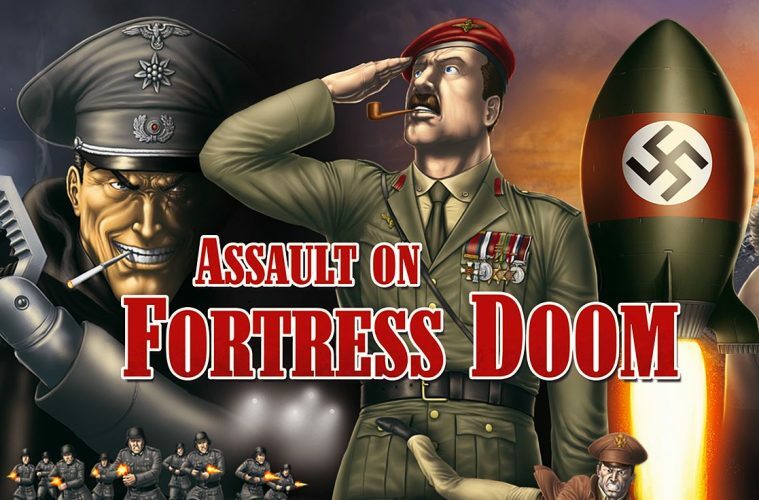 All of this adds up to a comic that is very fun from start to finish, and definitely worth reading if you in the mood for something that captures the spirit of WWII with a big budget feel and bucket loads of character. You can get it on Comixology here and Amazon. Previous ArticleTRAILER: IS 'COLOSSAL' A MONSTER MOVIE OR 'BEING JOHN MALKOVICH'?